Previously operated by: Golden State Theater & Realty Corp. 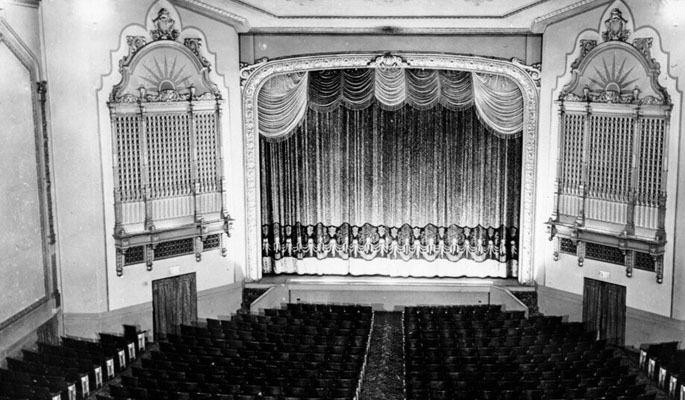 Originally opened as the Amazon Theater in 1928, for the Ackerman & Harris Circuit, this Spanish Colonial-style theater was designed by the Reid Brothers. 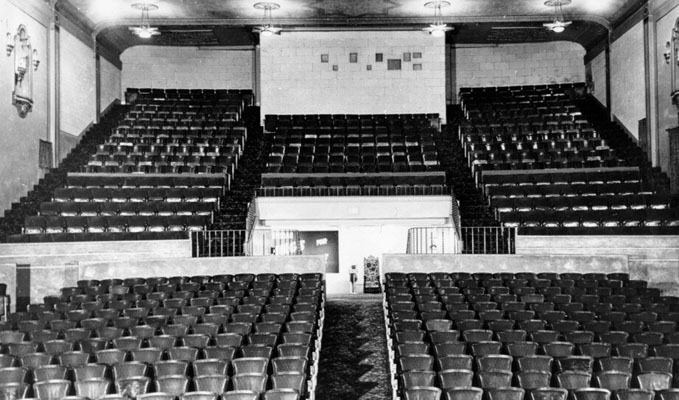 This 960-some seat movie house was last used as a church in the 1980’s. It has since been converted into a Walgreens. Curiously, around the corner from the Apollo, on Mission Street (towards Daly City), there is a building (I believe it’s currently used as an arcade) that looks suspiciously like it was originaly a small movie theater; its inner rear wall has what appears to have been its proscenium. Anybody have any info on that one????? To respond to gsmurph’s query about the theatre on Mission, around the corner from the Amazon: That is the Rialto. While it looks like the work of the Reid Bros., its architect was Mark T. Jorgensen. It operated for only a very brief time once the Amazon opened nearby. Ironic that its interior and exterior have now survived moreso intact than its competition, the Amazon, which once bested it. From the 1980sa photo of the Apollo Theatre sign in San Francisco. I toured the Amazon/Apollo about 1984. Previous operators had shown Indian films, but video tape ran them out of business. Amazon was surprisingly intact with an original painted stage drape and hanging chandeliers. I don’t believe it had ever been remodeled. It was a sister house to the Avenue, a few miles away. 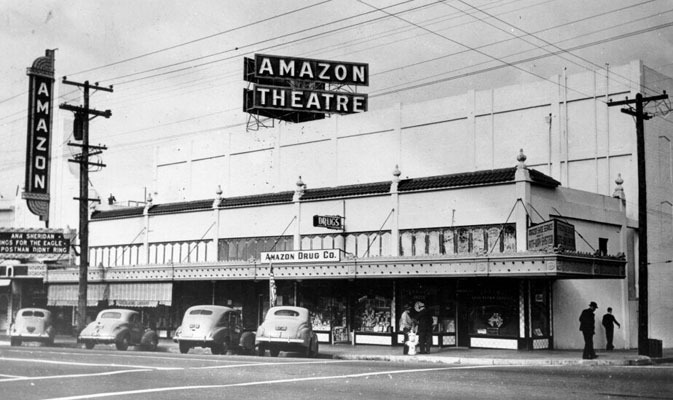 Where Avenue suffered a 1938 modernization, the Amazon was largely original. It is now (2012) a Walgreen’s Pharmacy. 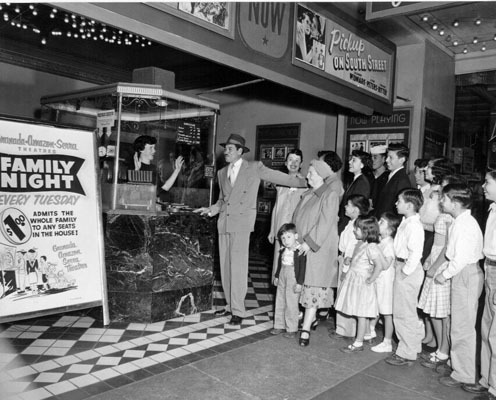 Since the SF Chronicle article (actually a “special to the Examiner”) that kenmcintyre posted the link to was published (April 5, 1999), of the single-screen theaters mentioned, only the Clay and the Vogue still operate as single-screen theaters: “Some survive – the Clay, Coronet, Bridge, the Vogue, Presidio and Regency 2 – but most of San Francisco’s one-screen theaters have gone…” The Pagoda and the Coliseum – also mentioned – are gone. 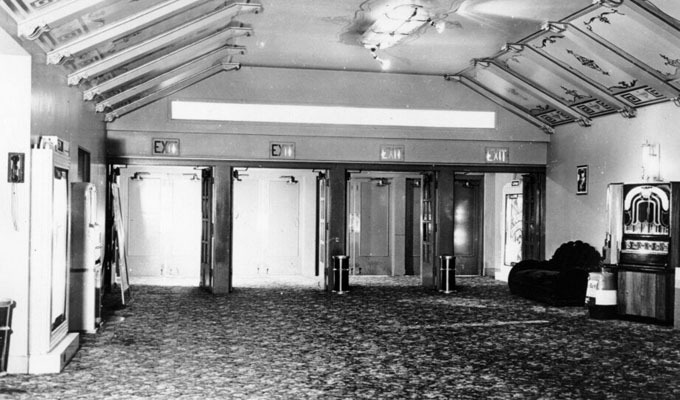 The Century 21, said to be in the Marina District, I can’t seem to find on CT.
Jordan — I think the article is referring to the Cinema 21 (originally the Marina Theatre) which was converted into a Walgreens and also houses a new Marina Theatre.